This week’s review concerns the stunning Hardy Ultralite ASR 4000 reel. In a competitive market where light reels are becoming the norm, we take a look at one of the high end models. 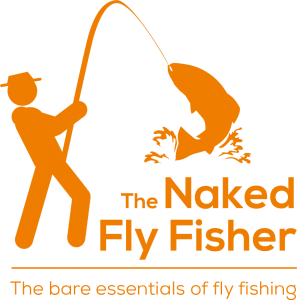 When you mention Hardy in angling circles, you are immediately aware of a well-respected brand which has been at the forefront of UK flyfishing since the late 1800s. To last this long in a ‘dog eat dog’ business, it’s certainly a testament and by no means a fluke. Hardy has consistently produced quality fly rods and reels which some anglers see as an investment, given their durability. The Ultralite ASR, which stands for ‘Assisted Spool Release’ was released in September 2016. The model has seen a weight reduction on previous models but the unique selling point appears to be the Spool Release mechanism and improved drag system as well as it’s impressive high end design! The gleaming titanium finish on the lightweight aluminium alloy reel oozes class and this stands out, the moment you open the box and the little neoprene bag that comes with it. So more about the ASR system. This system has a switch click system. Simply flick the switch to the side and it pops out quickly allowing a speedy ‘formula one pit stop’ style change. This quick change is handy if having to change tactic quickly and particularly useful for competition fishing where time is always against you. Regarding the switch, this is not something you could flick by accident causing panic during casting or playing a fish! It does lock in high impact composite spool in with a reassuring quick click so you won’t have to worry. But what is a Composite? Regarding the spools, I see I have just bombarded you with technical jargon…my bad. Composites are defined as ‘a mix of two or more materials with marked different physical or chemical properties’. The benefits of using a composite material are manifold. They offer both light weight and high strength and in some cases are deemed stronger than steel! They are also durable, impact resistant with strength to weight ratio that is higher than most materials but one of the key benefits is they are weather resistant. Take all this into account when manufacturing a high end reel and you can see Hardy have invested well in research and development on maintaining their reputation for developing high end, durable products that last for a lifetime. The good thing is that the spools are incredibly cheap at around £10 (€11.50 or $13) and do contain line markers so you do not overfill. The single turn 340 degree disc drag system was a simple little feature which was a traffic light system of dots when selecting resistance. It’s not much but sometimes the simple things go a long way. This is definitely one of the more affordable top of the range models and is generally priced around the £200 mark (around €230 or $260). Gleaming and stunning to look at, it would not look out of place as a well-polished ornament on a mantlepiece either! But with the exquisite design and functionality, it is definitely one for the birthday list, anniversary list or Christmas list. Start saving now and I don’t doubt for a second that you will still be using and talking about this for years to come! A lightweight, durable and exquisite reel with unique added features….what more do you need? Thanks, for this; best pictures I saw of the ASR reel in the field and good writing. Your pics encourage me even more to want one. I read somewhere that one needs a blade or screwdriver to release the cassette because the switch is very hard to move. This would make it not practical for stream side cassette swapping. What is your experience? Hi Alwin! Many thanks for the positive feedback. It’s always encouraging to hear that somebody appreciates the blog. To be honest, i had heard of it only once and that was on an internet forum. Personally, i have had no issues, and neither have any of my fishing amigos. That’s not to say we won’t in future! But so far, so good. I find the switch itself, rather strong, so you couldn’t just hit it by accident and nothing happen. Stream side swapping therefore shouldn’t be an issue. But under purchase all items should be under warranty anyway, so if you have any issues, the vendor, or the manufacturer should be doing their upmost to either refund or repair your item, should it be faulty. Thanx for the reply. The problem of internet reviews is that one (justified or not) complaint gets overhyped while one doesn’t hear that much from happy users. My ASR is on the way. Received my ASR 5000 and already used it for some light pike fishing. The cassette release switch works perfectly. Easy to engage stream side and firm enough not to accidentally release the spool. I have some other reels from Loop, Hardy, Vision, etc. This is my first cassette reel and I am actually very happy; good looking reel and confidently and easy cassette changing, even at 3 degrees Celcius with a biting cold wind.